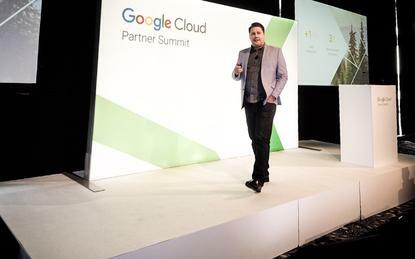 Google Cloud has outlined its priorities for partner success across Australia and New Zealand (A/NZ), as the tech giant turns channel aspirations into market reality. 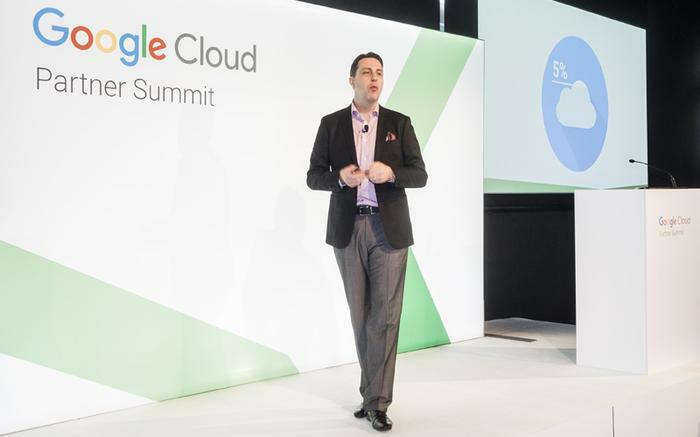 Speaking to ARN at the Google Cloud Summit in Sydney, the vendor outlined the framework in which cloud can be delivered through the channel, with partners front and centre of local enterprise ambitions. Spanning independent software vendors (ISVs); system integrators (SIs); born-in-the-cloud players; developers; consultancy firms; managed service providers (MSPs); global system integrators (GSIs) and telecommunications firms, the Google Cloud ecosystem is as varied as it is deep, housing a contrasting but complementary collection of partners. “We have recognised that we require a different type of partner to take us into the future than what we have had in the past,” Google Cloud head of cloud partners and alliances Asia Pacific and Japan, Ash Willis, told ARN. In taking on the role of local and regional channel chief six months ago - following a career spanning Amazon Web Services (AWS), VMware, Hewlett-Packard, Citrix and Express Data - Willis has observed a changing partner ecosystem, an ecosystem that continues to evolve at a rapid rate. Willis’ appointment aligns with long-held plans by the tech giant to build a cloud-centric channel locally, in a bid to lure the enterprise onto the Google Cloud Platform (GCP). But despite a drive into the large end of town, the vendor is adopting a quality over quantity approach within the context of the channel. “Our strategy is not to have tens of thousands of partners,” Willis explained. “We want to pick the right partners that we can work with to meet the needs of our customers and help them be successful through Google Cloud. Conversely, Willis was quick to stress the importance of large strategic players currently operating within the Google Cloud ecosystem, but emphasised that as the channel evolves, the role of the partner evolves in parallel. In short, Willis is building a broad ecosystem of partners housing different skill sets and capabilities, lending the tech giant to different types of alliances across Australia, such as Intuit, an accounting software provider targeting small businesses. 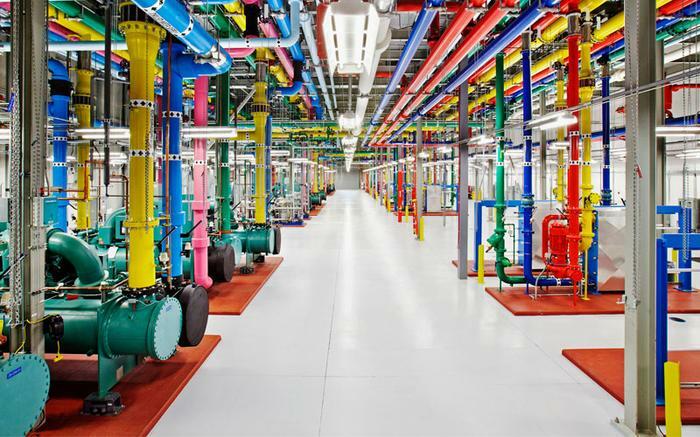 In a bid to compete against AWS and Microsoft Azure, Google Cloud is encouraging specialisation across the channel, rewarding partners that are laser focused on providing unique and differentiated solutions to customers. “The days of a partner offering everything to everyone is becoming harder and harder,” Willis said. “It’s difficult to be a generalist but at the same time provide the depth that customers want and need. As a result, Google Cloud is requiring partners to not just invest in specialisation once, but on an ongoing basis, in recognition of emerging technologies flooding the market. Specialisation therefore creates a need for collaboration within the channel, as partners seek to form ecosystem alliances to take niche solutions to market. “We’re seeing more coopetition than pure competition,” Google Cloud managing director of Asia Pacific and Japan, Rick Harshman, told ARN. “Technology is moving too quickly for you to just draw such a hard line in the sand. For Harshman, situations are now arising where large partners engage with smaller, boutique providers to meet the new demands of the customer. Likewise, ISVs are gaining prominence across the market, as the appeal of being global from day lures application builders to the cloud. “Asia Pacific creates a really interesting opportunity when you think of technology partners,” Harshman added. “Because it’s not just going to be for the big players such as SAP or Red Hat. Harshman outlined a reality where developers and application builders can expand globally through Google Cloud, bringing new solutions to customers and markets across the world. “If ISVs partner with Google Cloud and develop offerings as part of a global cloud-based solution, that creates a strong business proposition,” he added. “An ISV could have tens of thousands of customers which creates multiple opportunities, which is a key area of the channel that we’re promoting. Google’s increased push into the channel follows the launch of GCP in Australia only two months ago, with Sydney becoming part of the nine regions, 27 zones and 100 points of presence comprising the global GCP footprint. As of September 2016, Taiwan represented the only Google Cloud region across Asia Pacific. Yet following a surge of investment, Sydney, Singapore and Tokyo locations have since been launched, with Mumbai following soon. Relative to the channel, the local launch allows local partners to now offer businesses the ability to store their data within Australia – a factor that likely held back a number of potential enterprise and government end customers from adopting Google’s cloud services. Despite the promise of cloud however, coupled with everything the platform entails, Harshman said only five per cent of all workloads globally currently reside in the skies. In drawing on customer feedback, Harshman said businesses today demand flexible and open cloud platforms, platforms that prevent lock-in and promote innovation. And for Google, and its expanding cloud platform and channel, enterprise is key. During the past 12 months, the tech giant has staked its claim as a serious cloud contender across the enterprise, backed up by an expansive list of heavy hitting customers migrating to the skies. Local customers include Service NSW, News Corp Australia, Fairfax Media and Woolworths, alongside global logos such as HSBC, Adidas, and Spotify. Central to this has been the recent appointment of Colin Timm as the new director of Google Cloud across A/NZ, tasked with driving enterprise cloud adoption on both sides of the Tasman. Effective 18 September, Timm - who replaces Renee Gamble in the role - joins the tech giant from Telstra, where he most recently served as executive director across the enterprise business, working with 1,000 of the telco’s largest customers across Australia. As reported by ARN, Timm also managed operations and services for Telstra’s enterprise and government business, alongside stints at Amazon Web Services (AWS) and Microsoft. Furthermore, technology partnerships will also be pivotal for Google in the years ahead, as illustrated through SAP now running its flagship products on GCP. Designed to develop and integrate Google cloud and machine learning solutions with SAP enterprise applications, the agreement allows customers to run mission-critical SAP applications and databases, such as SAP HANA, on GCP. With over 125 million subscribers on the SAP cloud user base, the SAP HANA platform houses over 5,200 start-up developers, alongside more than 560 partners globally. “Having SAP as an established alliance partner is more important than just a rubber stamp,” Harshman explained. “With SAP, we’ve gone through a rigorous certification meaning SAP Hana can now run on Google Cloud. Key to capitalising on new and existing opportunities across the enterprise will be Google’s ability to provide professional services alongside the channel, in a bid to extract new levels of value through the cloud. Specific to Google Cloud, the vendor’s core offerings span consulting, technical account management, training and certification, alongside advanced solution expertise. “We realised there wasn’t a lot of best practice available in terms of how to carry out a lift and shift, or how to deploy a BigQuery implementation,” Google head of professional services across Asia Pacific and Japan Glenn Dreves told ARN. “Our focus is based on building repeatable service offerings and as they mature, rolling them out to the partners. We work with partners to ensure they are comfortable with the repeatability of those offerings and then we move on. According to Dreves, the offerings can be rolled out to large or small-sized partners, delivering a scale up or scale down capability for the channel as a result. “We can also subcontract both ways,” he added. “When we’re working with large partners we might inject some expert services to help them come up with a plan. Despite a need to provide professional services as a point of difference in the cloud, Dreves acknowledged the fine line between adding partner value and competing for end-user mindshare and dollars. From a partner perspective, Willis said internal practices are in place to ensure the service remains complementary rather than competitive to the channel. “We’ve not seen any conflict,” Willis added. “We spend a huge amount of time ensuring that we’re not even getting ourselves into situations that could be perceived as conflict.